Scarves There are 40 products. Between a lot woman accessories wear from centuries, here comes the scarves a clothing really indispensable. Born for necessity to cover the neck for the cold, has continued for centuries to cover and getting warm the neck for common peoples. Centuries ago the noble used this dress with fine fabrics, embroideries or brocades, the scarves had the functiont to get warm the shoulders and at the same time makes the persone more elegant because in antiquity it was embellished with rocks. A nice present can be a scarves an accessorie really simple to wear. Obviously the coise depend also for the season, in autumn and winter was realized with materials more thick and warm, instead in the hot or half seasons are used scarves more light and breathable. This accessorie for woman is used in wise way can be combined to have a style unique and wanted. Overall this accessorie can be a nice present to a person who we love, also because a scarve is an object that cuddle and spoils the neck remaining hot, a present for sure reccomended. 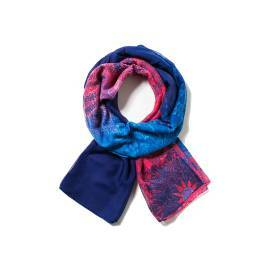 On our website you can find scarves with vibrant color. The Desigual scarves are very loved to all the women for his colors and brightness, also the calvin klein for the look really chic and elegant, get the occasion, and visit our websit online for further informations, let yourself pampered on Young Shoes Italia.